Thanks to everyone for supporting Running of the Balls. It was a record year! 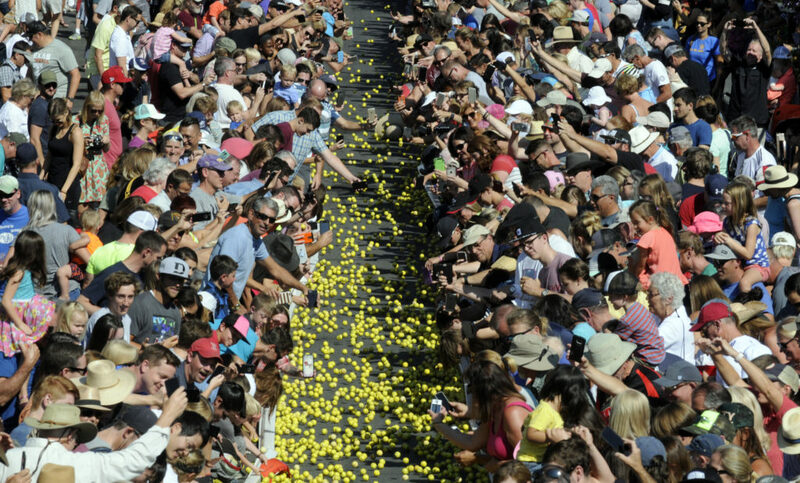 Running of the Balls is one of the showcase events at Miners’ Day, allowing the Park City Rotary Club to continue to support our community’s non-profits. Following are the 2018 winners from Running of the Balls. The Park City Rotary Club will reach out to all winners to arrange pickup or delivery of awards. For more information, please complete the contact form below. Thank you to all of the sponsors who gave generously to make Running of the Balls a big success! If you were a prize winner in Running of the Balls and have not yet been contacted, please use this form to update the Park City Rotary Club so we can arrange to get your prize to you. Thanks for your support! 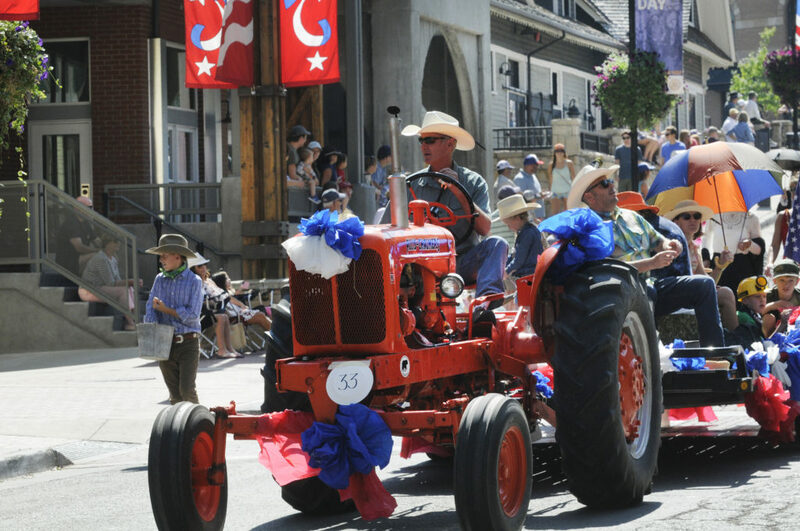 In the true spirit of Park City Miners’ Day, the parade winners reflect the character of the event and our community, as determined by our esteemed judges. Thanks to everyone from the community who turned out to join the parade. Tom Clyde pilots a vintage Allis-Chalmers tractor for the Park City Museum winner of the Grand Miner Award. Even the judges are creative at the Miners’ Day parade with a host of innovative categories. Congratulations to winners of the 120th running of the Miners’ Day Parade. Thanks to all who entered Running of the Balls. Your participation will help non-profit causes in Park City. Following is a listing of winners. Each winner will be contacted by phone or email to arrange prize delivery. In the case of prizes with choices, top winners (in sequence) will have first choice. Deer Valley Season Pass (one available), Epic Locals Pass (two available) or Ski Utah Interconnect (two available): Brett Miller, Daniel Dumallah, Randy Cassidy, Jim Gaddis, K.K. Mitchell. Thanks to all of our Running of the Balls prize sponsors! Miners’ Day in Park City wraps up each year with the Skateboard Bowl Jam in the City Park skate bowl.